Our mouths play the role of host to quite a few bacteria – hundreds of millions to be exact. In fact, if you’ve ever had a cavity, or even swollen and bleeding gums, you can blame those guys. 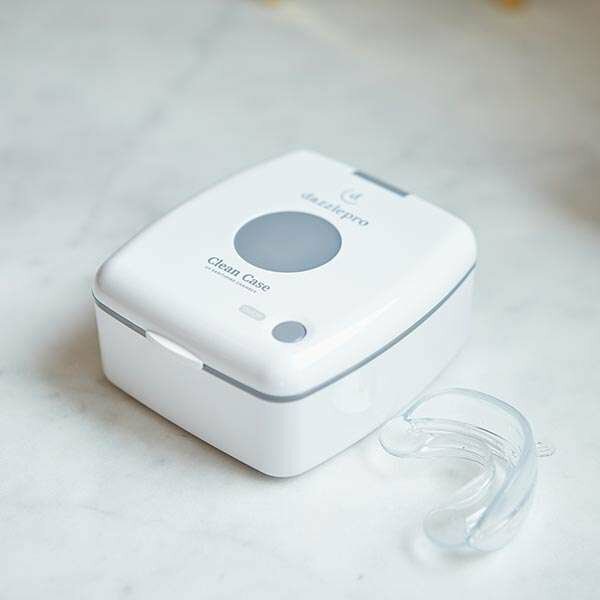 With that said, if you wear a removable appliance like a retainer or mouth guard, it’s definitely not enough to give it a quick rinse or brush it with a little toothpaste and call it “clean.” The Dazzlepro Clean Case UV Dental Sanitizer is a uniquely designed portable case that effectively cleans dentures, retainers, mouth and night guards, whitening trays, and other dental devices in just 10 minutes. 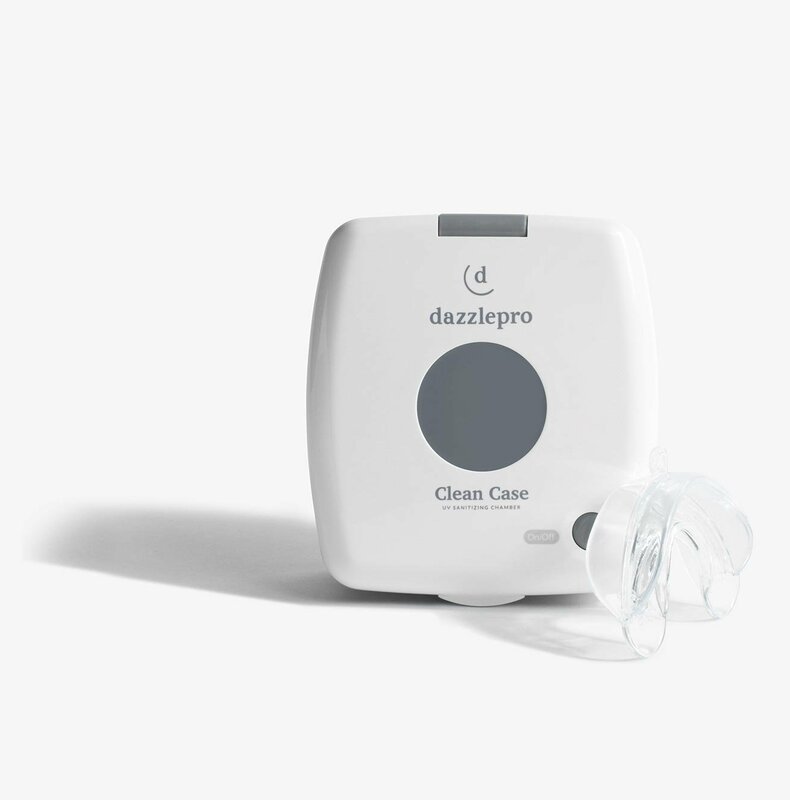 Using germicidal ultraviolet light, the Dazzlepro Clean Case UV Dental Sanitizer kills 99.9% of microorganisms, mold, fungi, and bacteria. 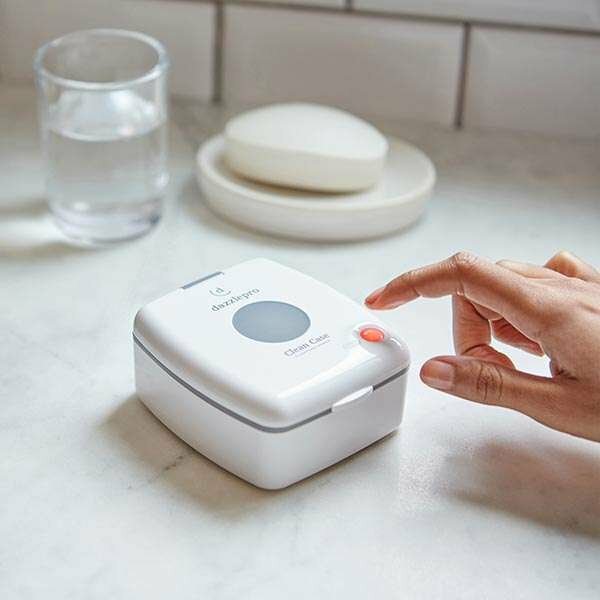 The Clean Case UV Sanitizer gets rid of 99.9% of bacteria like E.Coli, Candida, and Salmonella (just to name a few) that could be floating around your bathroom. 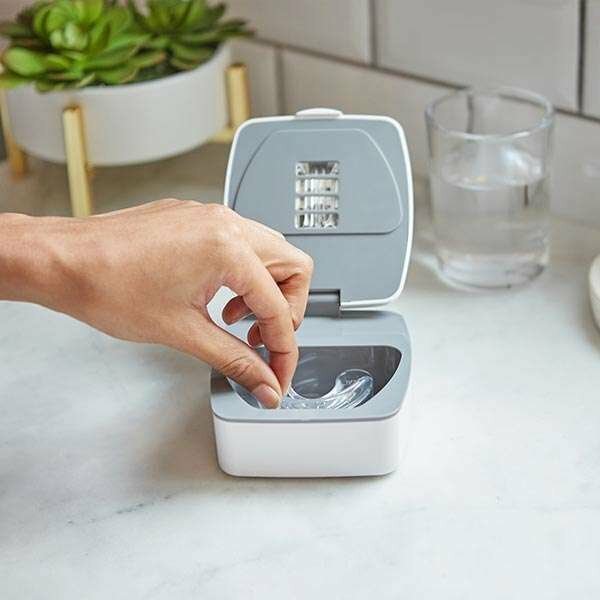 To use the Clean Case UV Sanitizer, insert two AA batteries into the compartment located on the back of the sanitizing case. Rinse your whitening tray, retainer, dentures, or other oral care device with water before patting dry. This will help to remove any residual buildup prior to sanitization. indicating that sanitization is complete. 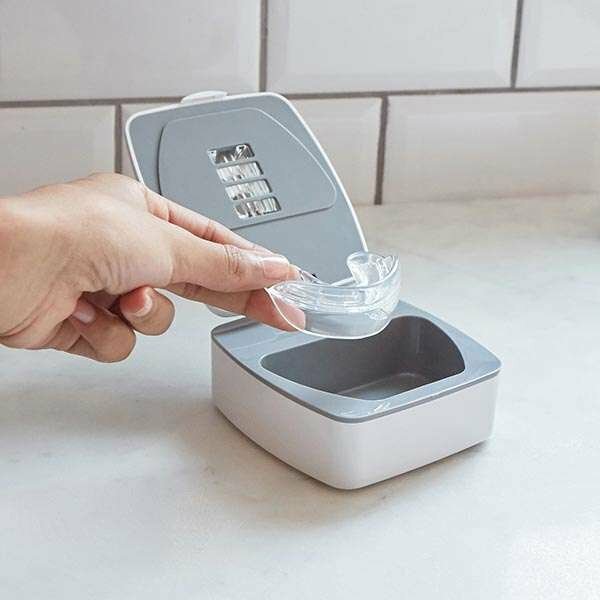 Remove your dental device for immediate use or store it in the chamber to keep it clean for future use. Note: The UV Sanitizing process will automatically stop if the lid is opened at any point during sanitization. It is important to allow the UV Sanitizer to fully complete its process.